The conquest of the Americas was the first step on the path to globalization. Today, 500 years later, we are rapidly approaching the prophecied global village and, consequently, natural and cultural uniformity. Amidst all the literature and discussion supporting globalization, author and geographer, Danilo J. Anton, argues against it. 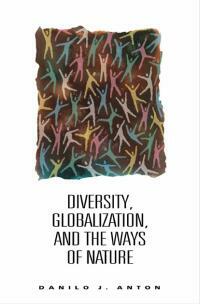 In his newest book, Diversity, Globalization, and the Ways of Nature, Anton demonstrates how diversity is necessary for both natural and cultural survival. He is not against progress, rather he illustrates how the "informatics revolution" can be used to promote public participation, capture traditional knowledge, and provide new methods for the defense of the natural environment. Danilo J. Anton, a Uruguayan–Canadian geographer, received his doctorate in 1973 from the Université Louis Pasteur in Strasbourg, France. His distinguished career has taken him from Saudi Arabia, to Mexico, to Uruguay, to Canada. In Dhahran, Saudi Arabia, Dr Anton managed the Sand Research Program and was Coordinator of the Geology and Mineral Division of the University of Petroleum and Minerals. In Mexico, he taught marine geology and geomorphology in Acapulco and managed the Center for Geographical Research in Guerrero. In Uruguay, he was Director of the Geography Department at the Faculty of Sciences of the University of Montevideo. And, in Canada, he spent several years as a consultant specializing in water issues, eventually joining IDRC. On behalf of IDRC, Dr Anton has initiated and monitored many successful projects in Africa, Asia, and Latin America, particularly in the fields of alternative water resources and environmental management. Dr Anton is widely published in the fields of geomorphology, hydrogeology, and environmental science. His most recent published work includes revisionist texts on South American history and the IDRC book Thirsty Cities: Urban Environments and Water Supply in Latin America (1993), which deals with the environmental problems of Southern megalopolises and whose video version has been presented on public television in Canada and many other countries around the world.